When it comes to family sailing holidays, Greece is certainly up there on the list of destinations you should consider. Not only does it boast white sandy beaches and clear waters, but the country is warm throughout the year and features stunning landscapes. Below, we’ve put together five things that you should do on your family holiday. 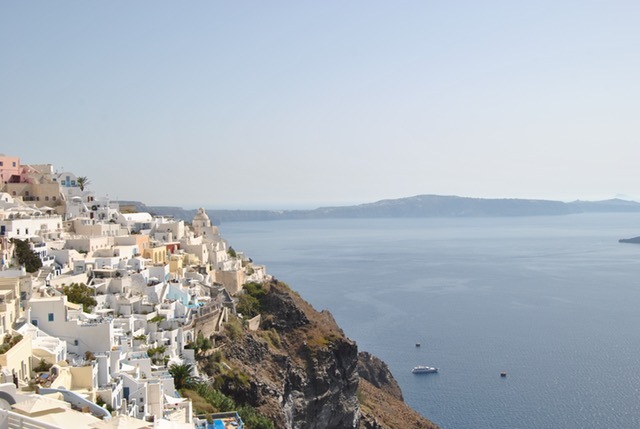 There’s much more to Greece than the mainland. In fact, the country has an incredible six thousand islands to explore – and only 227 of those are inhabited. Whether you’re sailing your own yacht or you’ve got a skipper to do the hard work for you, you’ll be able to enjoy a fantastic day at sea spotting islands, taking photographs and enjoying some fun in the sun. Greece is one of the most beautiful countries in the world, partly thanks to its crystal clear waters. If you want to spend time together as a family on an afternoon, then take a swim in the Mediterranean Sea, and remember to take something to play with when you want to dry off on the beach. Some of the popular options include the Catch Ball Velcro game and volleyball, but you can bring an activity of your own to set up on the beach if you want to. Take a day trip to the Acropolis of Athens, one of the most historical sites that Greek has to offer. Because of the climate, we recommend that you take a stroll in the morning or late afternoon, as the Parthenon can get hot during the day. Pack a digital camera or your smartphone so you can take snaps throughout your travels, and don’t forget to buy a guide book to learn everything there is to know about this historic landmark. Oh, and you won’t find a McDonald’s at the top of the Parthenon, so remember to bring a packed lunch! The popular village of Oia, which is also known by locals as Ia, is one of the best places to watch the sunset in Greece. For the best view, take a trip to the top of the island and get there with plenty of time to spare, as it is an attractive pastime for locals and tourists alike. The chances are that, if you charter a yacht in Greece, then you’ll want to prepare some of your meals on your yacht. You should, however, take the time to sample some of the stunning cuisines on offer in Greece. BBC Good Food has put together ten dishes that you must try in Greece – and those include olives, dolmades, grilled meat, fresh fish, courgette balls, octopus and honey and baklava. Yummy! At The Big Sail, we offer a range of family sailing holidays in Greece. Get in touch today to find out more about how we can help you create the yachting holiday if your dreams.